The iPhone Dev Team has announced that jailbreakme.com is now live offering a Safari based jailbreak for iOS4 devices, as well as iPads running 3.2.1. Their blog post states the site will jailbreak iPhones, iPod Touches and iPads so it may work with older software versions but details are a little scarce at the moment. An Engadget post yesterday revealed the gold build issued at WWDC works on any compatible iPod/iPhone without the device being registered for development. 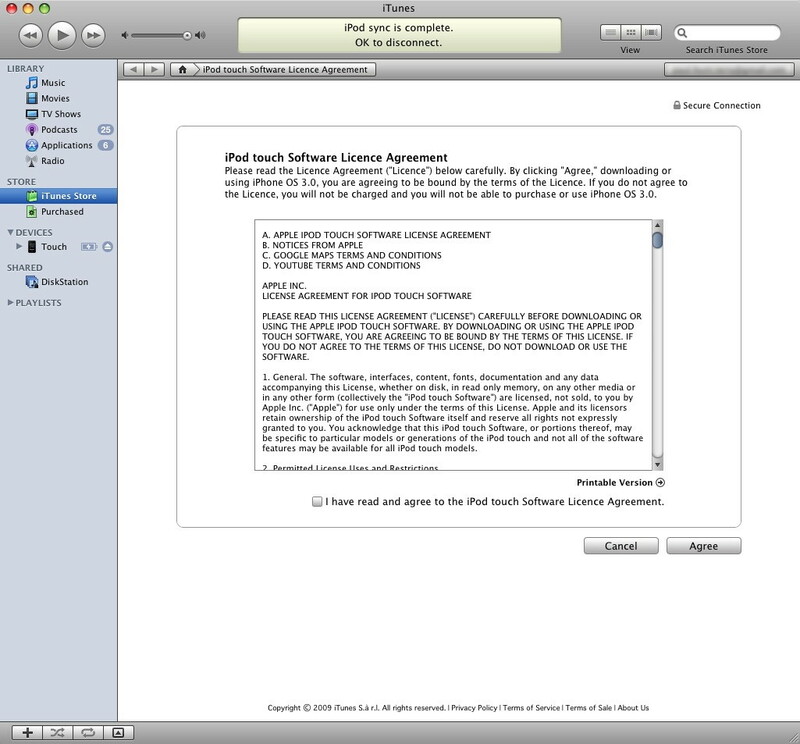 A quick search of the usual places such things are found turned up the latest beta of iTunes 9.2 required for the restore process, as well as the ipsw packages for the iPhone 3G/S and iPod Touch 2g/3g. Since these are far from official sources everything was scanned for nasties but the clean results meant it wasn’t long before my 3GS was running iOS4. With the release of the iPhone Dev Team’s PwnageTool 3.1.4 it is now possible to jailbreak everything but the iPod touch 3rd generation on the Macintosh. Blackra1n for Windows is available to jailbreak any 3.1.2 device including the iPod Touch 3rd generation, so your choice is governed by your platform or device. I tested PwnageTool 3.1.4 this morning and it worked flawlessly with my 3GS. The previous 3.1.3 version for jailbreaking 3.1 had caused me big problems with the phone being unable to connect to the network after installing the modified ipsw. Luckily I had a version 3.0 ECID SHSH on file with Cydia so it was possible (if convoluted) to restore back to 3.0 and try again. Second time round upgrading to the modified 3.1 worked fine, and I have been unable to figure out what went wrong the first time. For the past (almost) two years I have used my iPod Touch every day as a web browser. email client, PDA, eBook reader and even a music and video player. It’s been reliable, flexible and even better once jailbroken. As a computer user who’s experiences started with a one kilobyte ZX81 29 years ago I have never ceased to be amazed at what such a small package could do. Even after all this time I still turn it sideways and wonder how so much power can fit in such a thin case. Just like most of the iPod’s that came before it, the Touch will be remembered as a design classic. Following hot on the heels of Apple’s firmware 3 for iPhone and iPod Touch is the release of PwnageTool 3 to jailbreak some of those devices. Available for Mac only at the moment, this software is capable of jailbreaking the iPhone 2G and first generation iPod Touch, as well as unlocking the iPhone 2G for any network. Support for later devices will follow soon with QuickPwn. 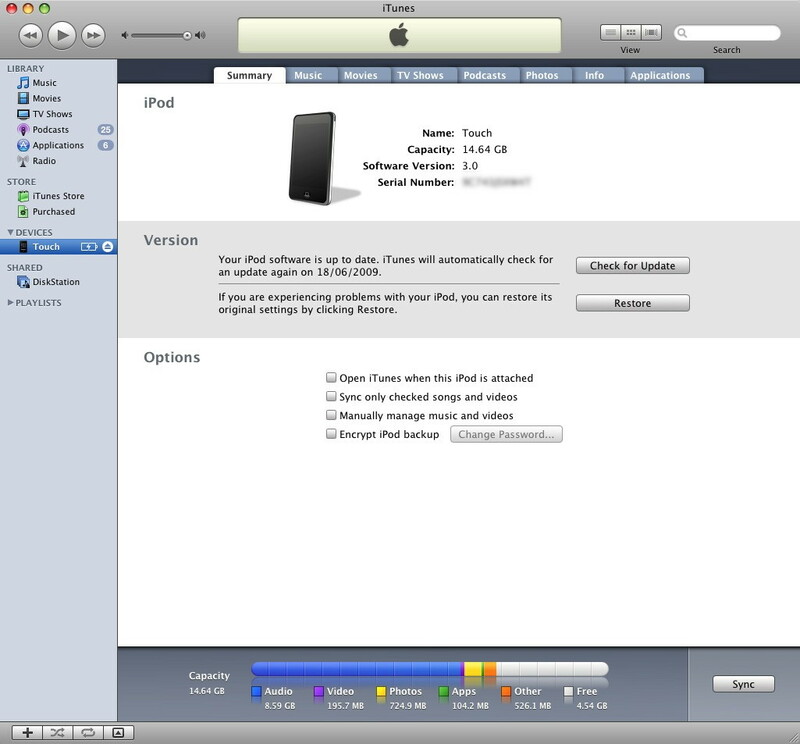 It’s worth mentioning that PwnageTool wiped my iPod Touch when I used it, where upgrading to firmware 3 using iTunes will leave the content on the iPod. 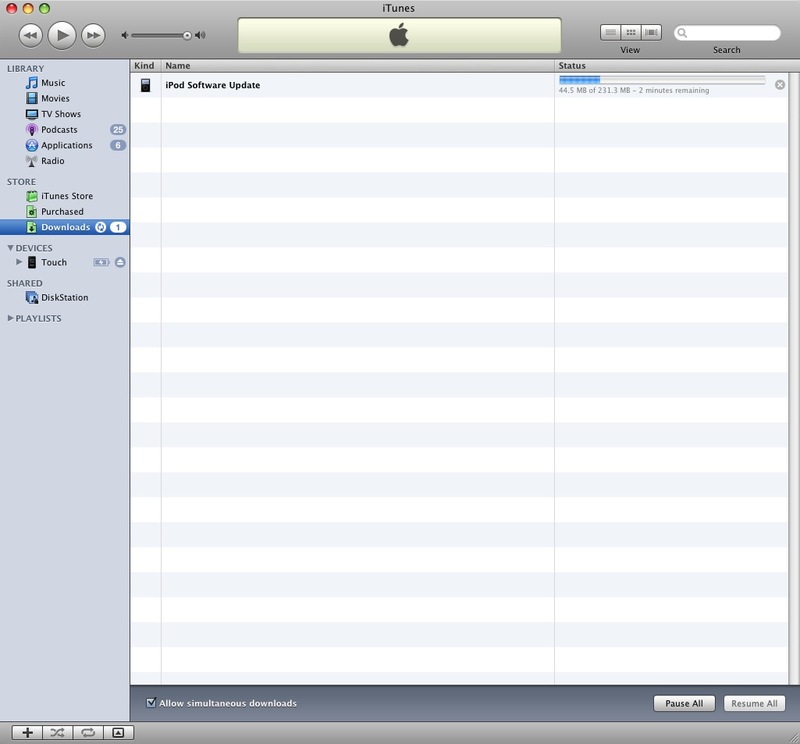 This meant a long sync after using PwnageTool to replace all the music/video/photo’s. Not a problem, just remember to sync your iPhone/iPod using iTunes before upgrading to firmware 3 or using PwnageTool to create a custom firmware. As ever, thanks to the iPhone Dev Team for their continued hard work bringing us the option to jailbreak and unlock our iDevices. Below is a video walkthrough, click on Read the rest of this entry for a screenshot gallery. 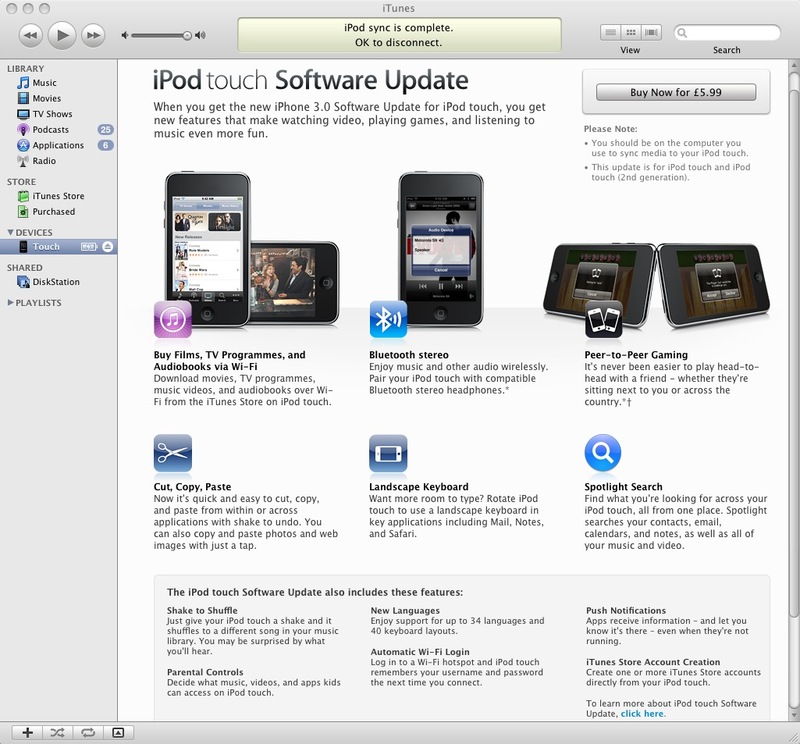 Apple has today released the V3 software for the iPhone and iPod Touch. Available through iTunes as a free (iPhone) or paid (iPod Touch) update, much has been written of the new features so I won’t repeat it here. 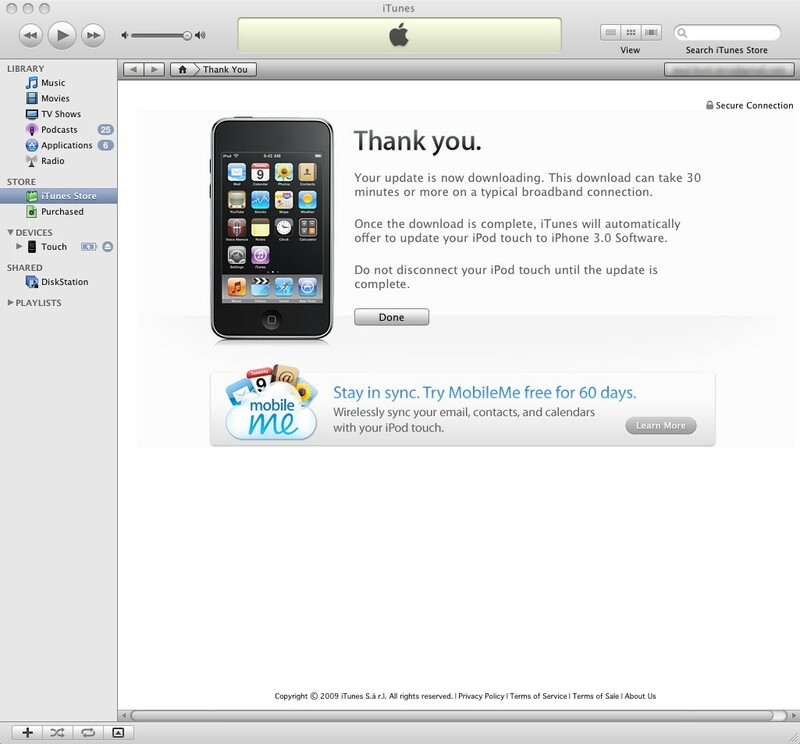 My own 1st Gen iPod Touch is currently updating so there will be some update screenshots and V3 screengrabs added soon. Update Not much new in the update process, I’m currently working through the new features to see what works on the iPod Touch 1st gen.